The just-opened show at New York’s Cooper Hewitt explores the communications honcho’s obsession with era-defining product design. Running through the exhibition is Greenberg’s fascination—and engagement—with the idea of “connected space.” An R/GA-developed app for the show allows visitors to immerse themselves in the objects via a guided tour from both Greenberg and Mori, as well as luminaries such as industrial designer Thomas Meyerhoffer, Cooper Hewitt curator Ellen Lupton, and Pentagram’s Michael Bierut. Especially standout is Mori’s design, which places all of the objects under a lighting installation by Japanese firm Kaneka OLED (it’s the first time such lighting has been integrated into a U.S. museum show). As with those who designed the products on display, it’s clear that with this exhibition Greenberg paid close attention to every last detail. Here, a few of the highlights. 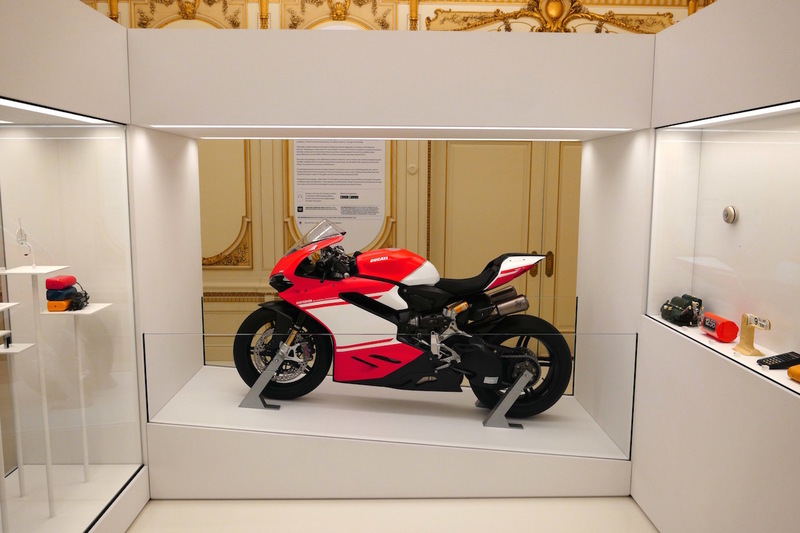 Ducate Panigale Superleggera motorcycle (2017). Braun HLD 4 No. 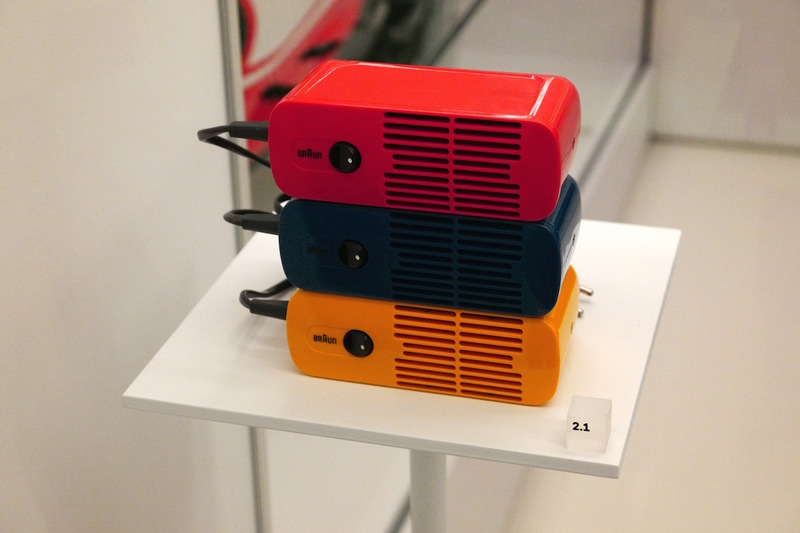 4416 hair dryers (1970), designed by Dieter Rams. 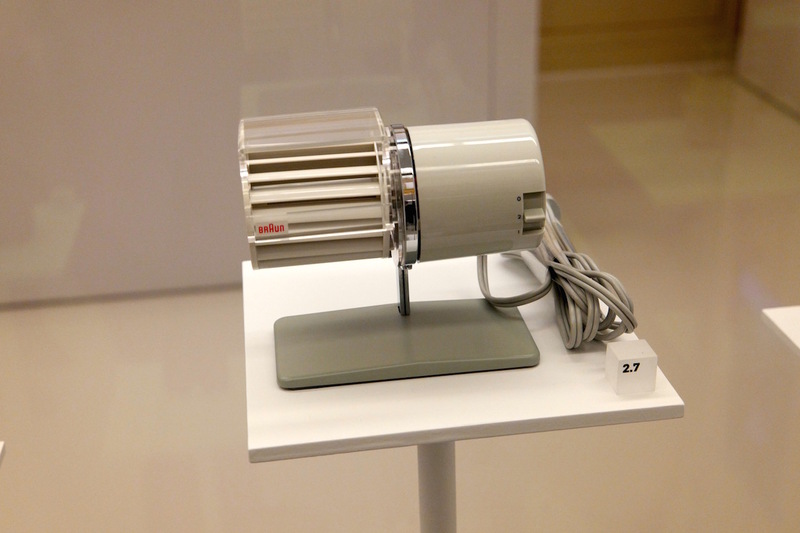 Bruan HL1 desk fan (1961), designed by Dieter Rams. 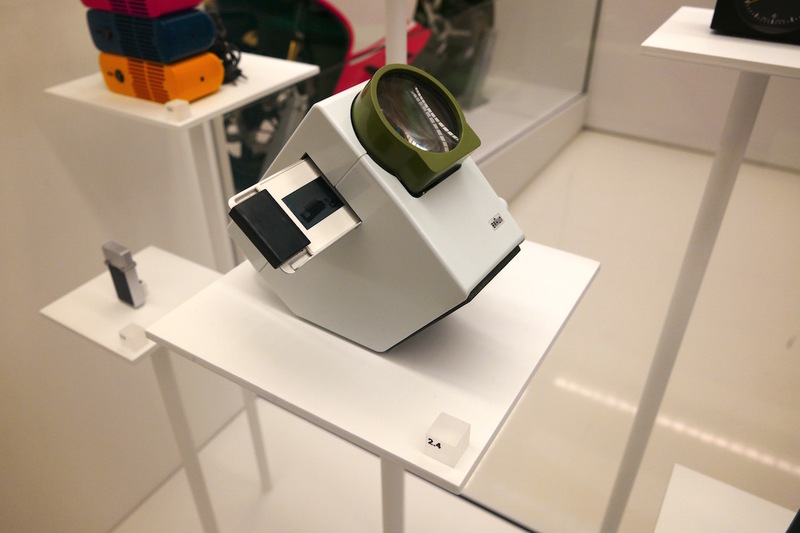 Braun D6 Combiscope slide viewer and projector (1963), designed by Dieter Rams. 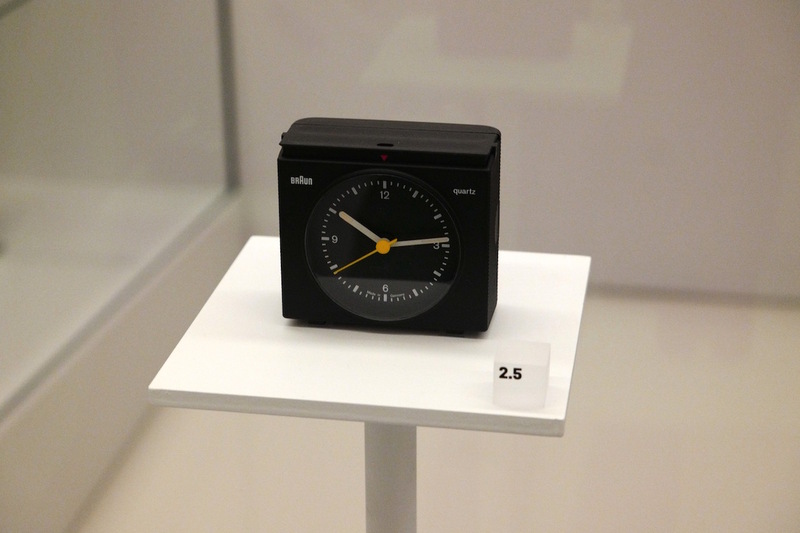 Braun AB 21/S alarm clock (1978), designed by Dieter Rams. 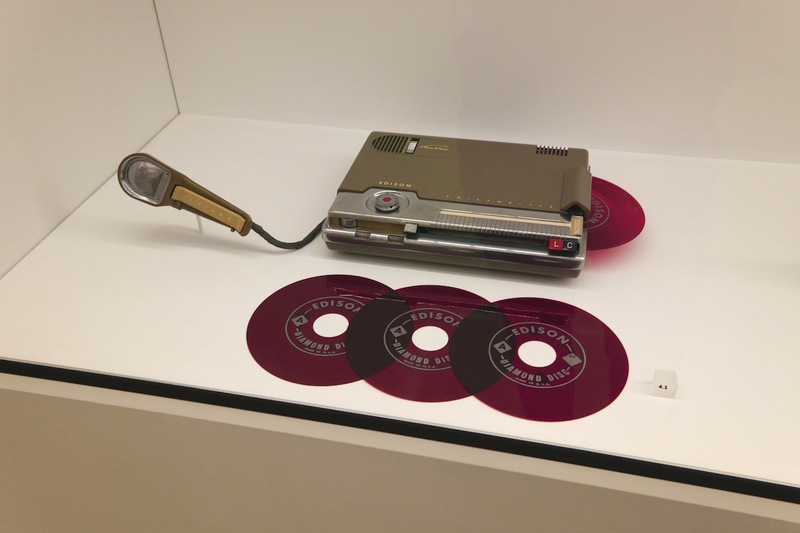 Edison Voicewriter dictaphone (1953), designed by Carl Otto. 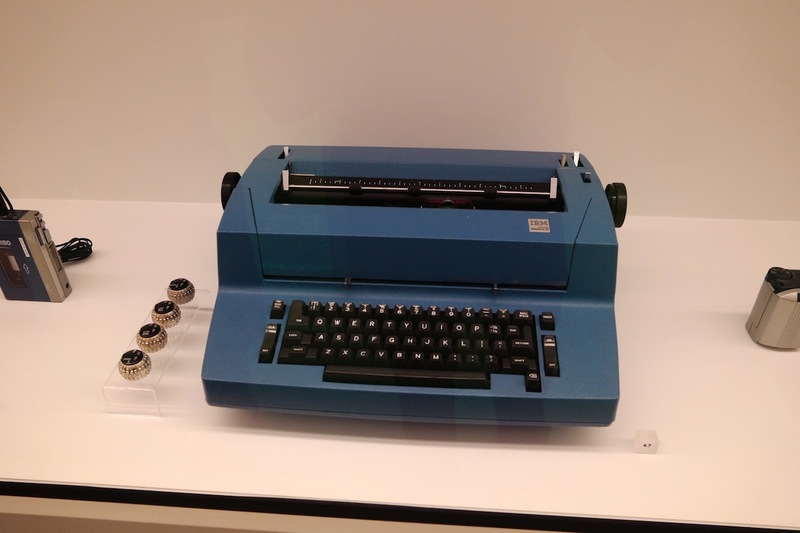 IBM Correcting Selectric II Model 895 typewriter and typing elements (1973), designed by Eliot Noyes. 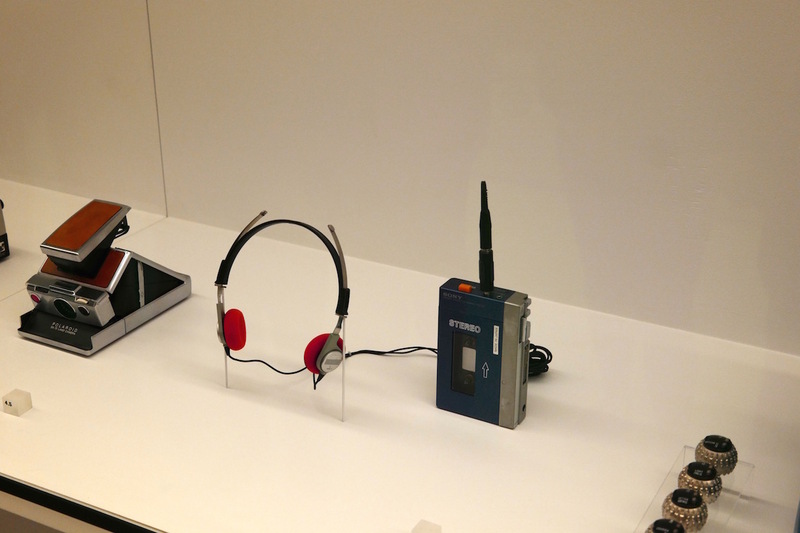 Sony TPS-L2 Walkman portable cassette player and headphones (1979), designed by Akio Morita and Kozo Ohsone. 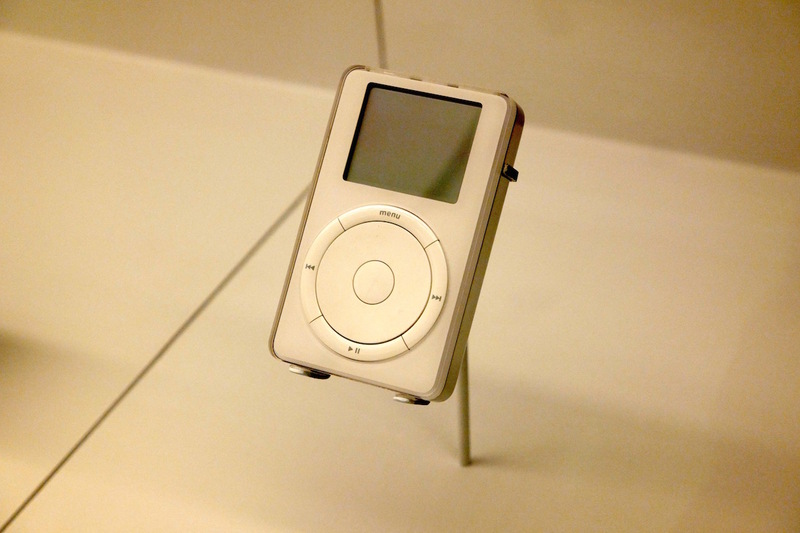 iPod (2001), designed by Jonathan Ive and the Apple industrial design team. 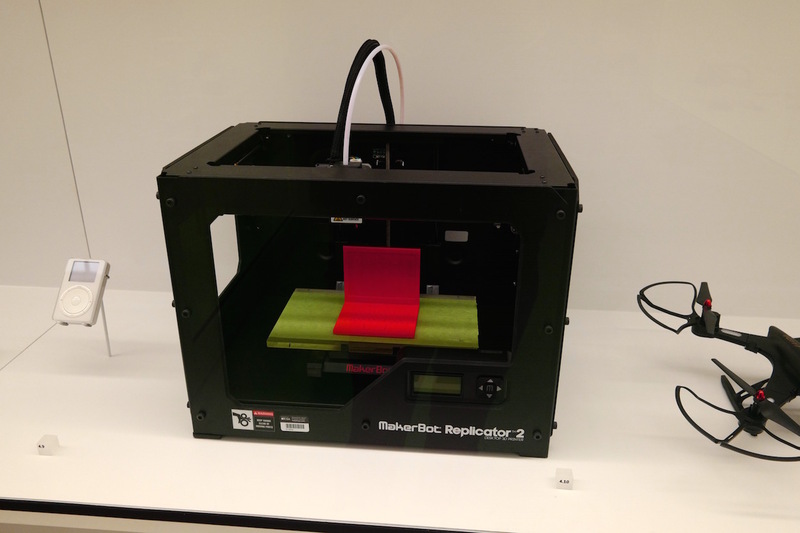 Makerbot Replicator 2 desktop 3-D printer (2012). 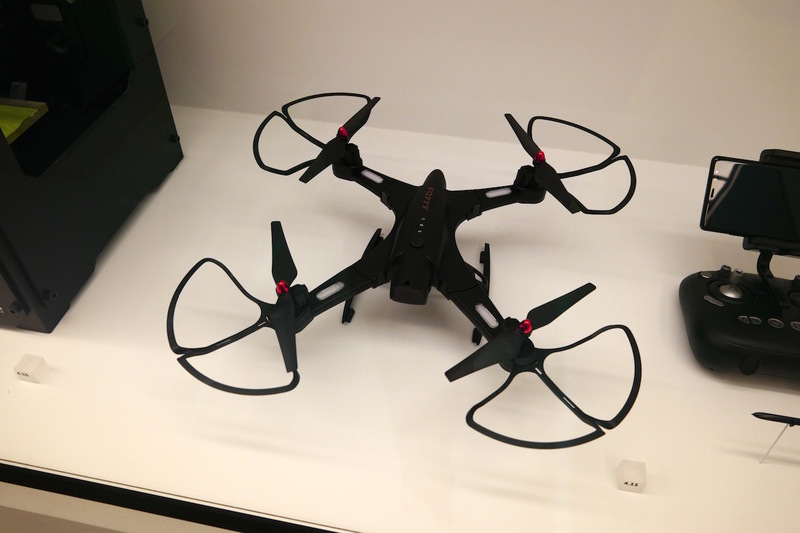 FQO2W FW777 foldable selfie quadcopter drone with remote control (2017). 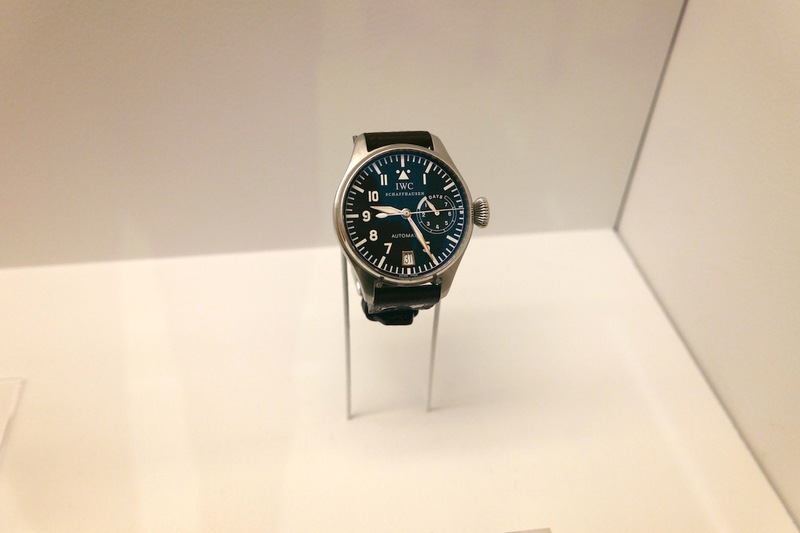 IWC Schaffhausen IW500912 Big Pilot’s watch (2002). 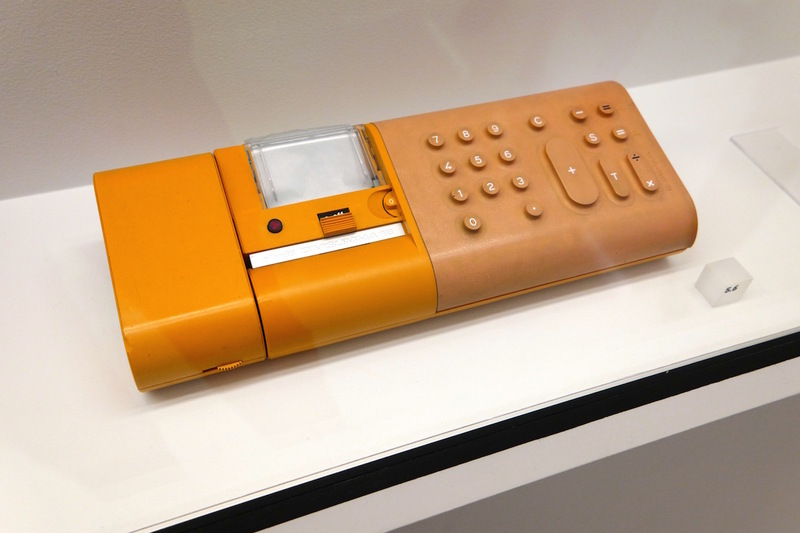 Olivetti Divisumma 18 calculator (1973), designed by Mario Bellini.